Let refined luxury and balanced indulgences take care of you amid scenic natural beauty that comprises of lush green valley and majestic mountains. 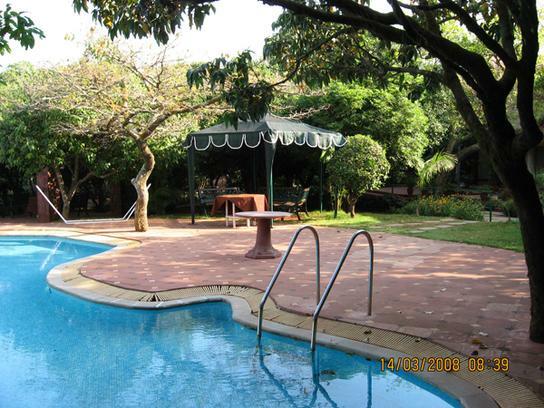 Sherwood Resort is very popular hotel located in the perfect vacation destination of Mahabaleshwar. 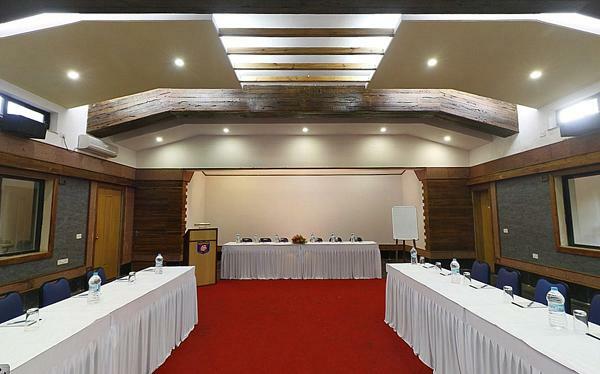 The property located in the heart of hill station offering easy access to nearby commercial markets and tourist spot, making it perfect for both business as well leisure guests. Set on 8 acres of prime lush green forest, Sherwood is perfect place for city folks to break away from their chaotic life and relax and unwind in the lap of nature. 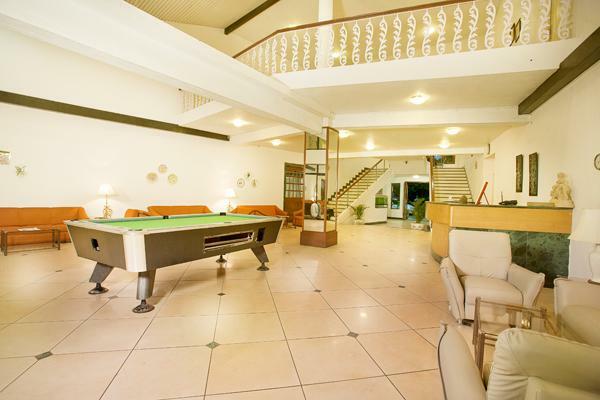 Patrons are offered nine different types of accommodation choices to cater to their different needs and budget ranges. These include Deluxe rooms, Deluxe Duplex Rooms, Superior Poolside rooms, Superior Duplex Rooms, Windsor Valley View Rooms, Kings Court Cottage / Suite, Sherwood Premium rooms, Sherwood Premium Duplex Rooms and Chalet Bungalows (AC / Non AC). All the rooms are equipped with classy décor and state of the art modern amenities to keep guests pampered during their stay here. 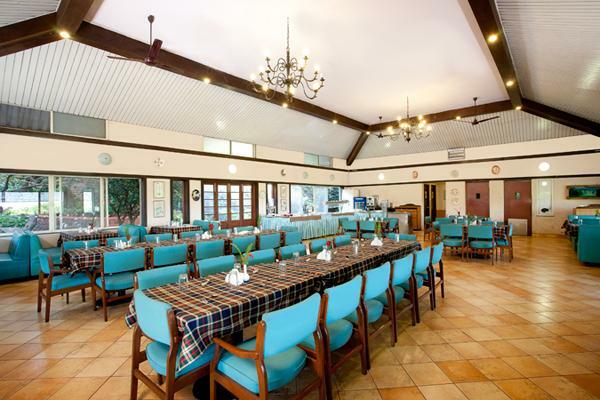 Being a holistic vacation resort, the Sherwood has developed an onsite multi cuisine restaurant which serves delectable Indian, Chinese continental dishes along with host of local delicacies. Patrons will also find other facilities and services offered by the hotel very convenient for the entire requirement they might have. 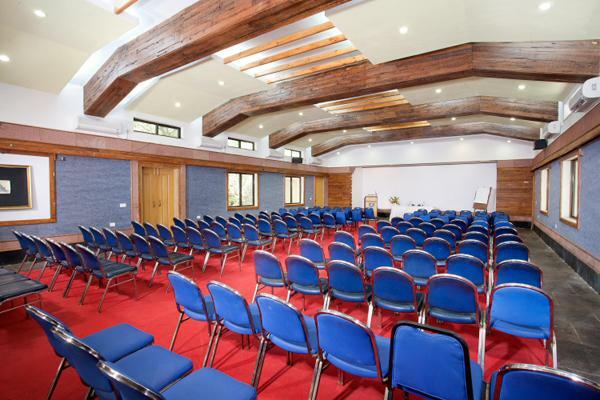 The main among them include swimming pool, Jacuzzi, a well equipped gymnasium, recreational center with indoor and outdoor games, cyber café for internet connectivity, two well equipped conference halls for social functions and business events and others. The Resort also organizes adventure activities like trekking, horse riding and cultural night to give guests a glimpse of the beauty of Mahabaleshwar. 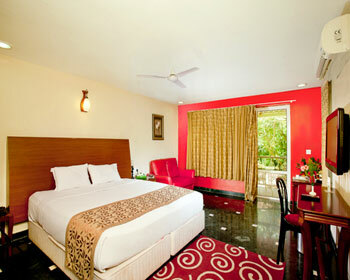 Deluxe Rooms are the simplest accommodation choice offered by luxury vacation resort Sherwood. These rooms although light on pocket, pack quite a punch when it comes to amenities and features. The rooms are designed by expert decorators in such a way that they allow ample natural light inside, brining in a lively ambience. The interiors are done to complement the surrounding scenic beauty and patrons will find lot of artifacts and sculptures adorning the walls of the Deluxe Rooms. The room is also equipped with all necessary facilities and modern amenities to keep guests pampered and satisfied during their stay here. The main among them include plush bed, private attached bathroom with premium fittings, television with satellite connectivity and subscription to premium channels, tea and coffee maker, wardrobe, seating unit, bathroom toiletries and many more. Budget pricing and practical amenities make Deluxe Rooms ideal for business and solo travelers. 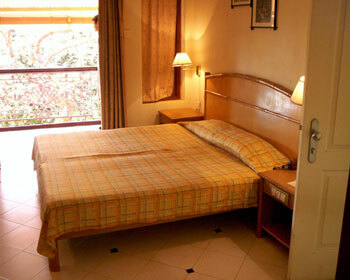 Looking for spacious and comfortable room in Mahabaleshwar to enjoy your vacation? 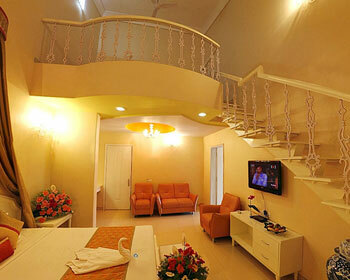 Then, the Deluxe Duplex Rooms offered by Sherwood Resorts will be ideal for you. These rooms are developed by the hotel keeping in mind various needs of modern day travelers. The Deluxe Duplex Rooms are decorated in unique fashion by integrating traditional design concepts with modern architectural style that imparts opulent look and feel to the room. Moreover, the interiors are also themed around nature and complement that scenic beauty that surrounds the resort. On the front of amenities as well, the Deluxe Duplex Rooms do not disappoint. They are equipped with state of the art modern facilities to keep you pampered and satisfied. These include plush bed, private attached bathroom with premium fittings, television with satellite connectivity and subscription to premium channels, tea and coffee maker, wardrobe, seating unit, bathroom toiletries and many more. 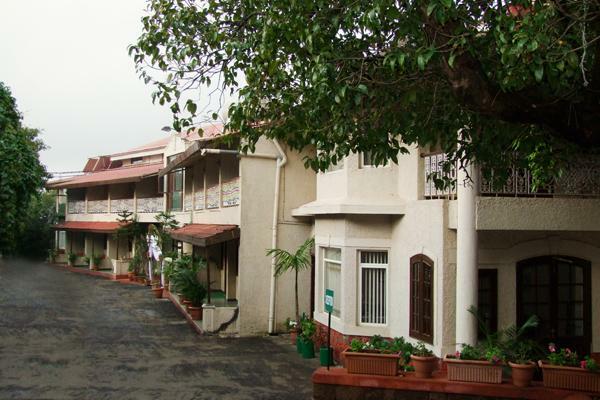 The duplex nature and spacious surrounding beauty makes Deluxe Duplex Rooms very popular stay choice in Mahabaleshwar. Blending luxury and comfort in perfect balance, the Superior Poolside rooms offered by Hotel Sherwood Resorts in Mahabaleshwar, have earned great respect for themselves. As the name suggests, the Rooms directly face the azure swimming pool and offer great view of the surrounding natural beauty. The décor of the room is designed in line with this view and therefore has very opulent charm. The interiors are kept simple and elegant to keep ambience light and lively. Patrons will also be pleased to find premium furnishings and modern amenities included in the room to ensure comfortable stay for them. The major amenities included in the room are plush bed, private attached bathroom with premium fittings, television with satellite connectivity and subscription to premium channels, tea and coffee maker, wardrobe, seating unit, bathroom toiletries and many more. Mesmerizing view of the swimming pool and premium amenities, help Superior Poolside view stand apart from their competitors! Superior rooms are one of the most popular accommodation choices available at vacation destination resort, Sherwood. The rooms are popular because of the lavish luxury and modern comfort features it offers. The rooms are designed by expert designers and architects keeping in mind various requirements of modern day vacationers. The décor of Super Deluxe Room is kept very simple and elegant in line with the natural scenery which surrounds them. The interior is adorned with cultural elements and embellishments to give it very unique feel and appeal. Keeping the needs and requirements of client in mind, the rooms are fitted with best of facilities, furnishing and amenities like plush bed, private attached bathroom with premium fittings, television with satellite connectivity and subscription to premium channels, tea and coffee maker, wardrobe, seating unit, bathroom toiletries and many more. Classy décor and modern amenities make Super Duplex Rooms ideal for families and couples. Mountains on your mind, then book a Windsor Valley View Room at Sherwoods Resort in Mahabaleshwar. These rooms are specially crafted for nature lovers, who admire and adore natural beauty. The Windsor Rooms offer unrivaled view of the majestic mountains and scenic valley right from the comfort of your rooms. Keeping in mind the view, the décor of the Valley view rooms is kept very simple and elegant. Even the interiors are designed in such a way that they complement the view with help of cultural elements and artistic paintings. Apart from the feel and look of the rooms, Windsor Valley view rooms are also very practical when it comes to amenities and features. These rooms are fitted all necessary amenities and facilities to ensure comfortable stay for guest. The main amenities included in Valley view rooms include plush bed, private attached bathroom with premium fittings, television with satellite connectivity and subscription to premium channels, tea and coffee maker, wardrobe, seating unit, bathroom toiletries and others. King Court Cottage was developed as a specialized accommodation option for guests who are looking for homely arrangement that comes with all necessary amenities and features. The cottage is located in very serene part of the resort and is surrounded by natural beauty, which allows guests to bask in the glory of nature right in the comfort of their cottage. Expert architects and designers were involved in development of this cottage and every little detail has been polished to ensure comfortable stay for patrons. The cottage boasts of spacious living area and bedroom along with an attached bathroom as well as a sit-out porch / balcony area. The spacious arrangement makes it an ideal match for family and group travelers. To keep guests pampered during their stay here several modern amenities and facilities were included in the Kings Court Cottage. These include plush bed, private attached bathroom with premium fittings, television with satellite connectivity and subscription to premium channels, tea and coffee maker, wardrobe, seating unit, bathroom toiletries and many more. Homely aura is the key feature which differentiates Kingly Court cottage from rest of the options. Pamper yourself with best of lavish luxury and classy comfort by choosing to stay at the Sherwood Premium Rooms offered by vacation destination Sherwood Resort. These are the signature accommodation choices and ranks very high in the accommodation chart. Keeping in mind the kind of clients it attracts, the Sherwood Rooms are tailored with perfect balance of comfort and indulgence. The rooms sport very classy décor which complement the scenic beauty that surrounds them. The interiors are adorned with artistic paintings and artifacts which impart opulent feel and appeal to the rooms. Patrons will also be pleased with the generous incorporation of modern features and amenities in Sherwood Premium Rooms. These include plush bed, private attached bathroom with premium fittings, television with satellite connectivity and subscription to premium channels, tea and coffee maker, wardrobe, seating unit, bathroom toiletries and many more. 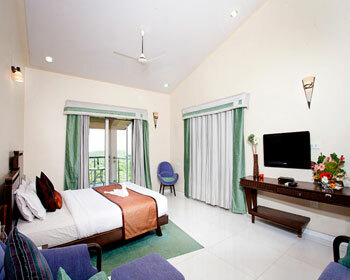 Sherwood Premium Duplex Rooms are one of the finest accommodation offered by Sherwoods Resort in Mahabaleshwar. These rooms are very similar to the Sherwood Premium room but have duplex setup. 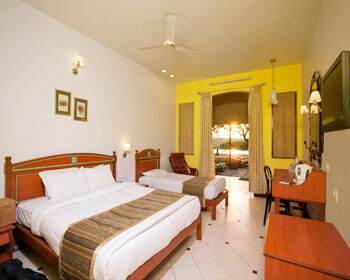 The rooms are quite spacious and offer ample room to guest for their daily activities. Consisting of spacious living area, bedroom and attached bathroom along with sit-out balcony or porch; the Sherwood Premium Duplex rooms have earned rave reviews from patrons. 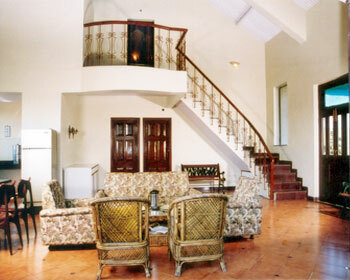 The rooms have very gracious décor that is designed in unique manner to complement the surrounding natural beauty. The interiors of the rooms are designed by fusing contemporary design trends of classical elements to bring out the best of both worlds. Equipped with several amenities and features like plush bed, private attached bathroom with premium fittings, television with satellite connectivity and subscription to premium channels, tea and coffee maker, wardrobe, seating unit, bathroom toiletries and many more; the Sherwood Premium Duplex rooms are sure to serve patrons well. 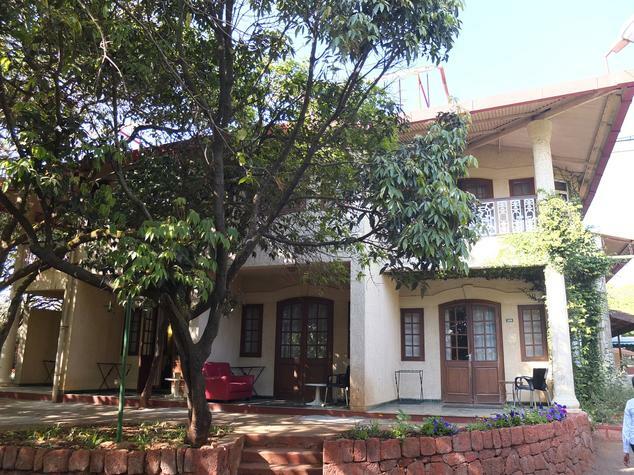 Lavish luxury, charming décor and comfortable interiors along with homely aura; if these are your requirements for vacation accommodation in Mahabaleshwar; then the Chalet Bungalows offered by Sherwoods Resort would be perfect for you. These Bungalows are designed by holistic stay option for families, groups and VIP travelers, who would want all their needs to be provided for in their accommodation. The Chalet Bungalow does this with the help of spacious living room, plush bedroom, dining area, kitchenette and attached bathroom along with sit out porch or balcony. The décor of the bungalow is themed around nature and the interiors complement the surrounding beauty in best way possible. Patrons have also appreciated the artistic paintings and sculptures which are included in the room as part of décor, they give the place very regal charm. Available both with and without air conditioning option; the Chalet Bungalows are great for long stay vacations. Chalet Bungalows are also fitted with modern amenities and facilities like plush bed, private attached bathroom with premium fittings, television with satellite connectivity and subscription to premium channels, tea and coffee maker, wardrobe, seating unit, bathroom toiletries and much more to keep patrons pampered and satisfied during their stay here. Being an experience and vacation resort, Sherwood has developed all the facilities and features that are necessary to make your holiday stay very comfortable and convenient. Taking this commitment further is their in -house multi cuisine restaurant, which serves delectable flavors from across India and the world. 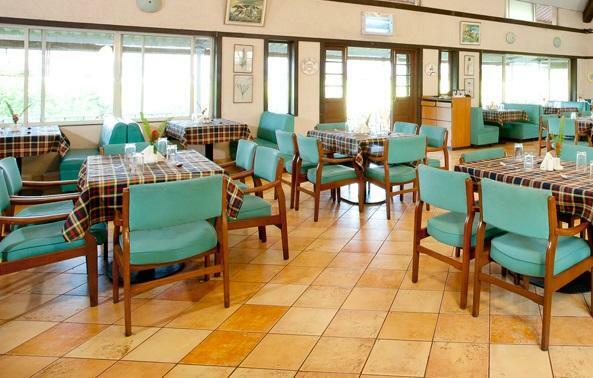 The restaurant is located on the property of the resort and therefore offers patrons a chance to enjoy their favorite dishes without venturing out of their comfortable rooms. The décor of the diner is very opulent and the interiors are designed by expert designers in such a way that they complement the natural beauty which surrounds it. 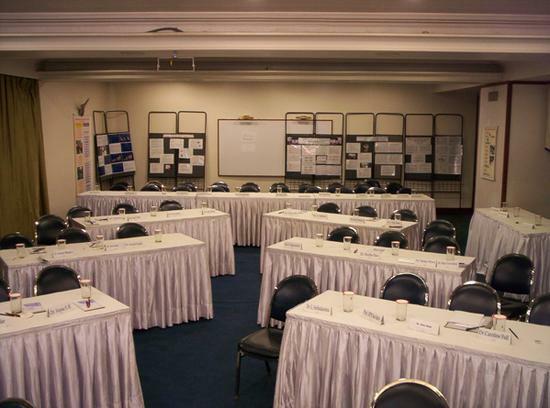 The seating is kept comfortable to ensure that the venue is ideal for formal dinners as well as casual hangout with friends. The restaurant has earned rave reviews from both local and foreign guests for serving scrumptious dishes from Indian, Chinese and continental platter along with local delicacies. The local delicacies have been highly appreciated for their authentic taste which is brought out by tradition cooking technique and rare spices and herbs. Patrons can also ask the chef to tailor the food as per their preferences and he will surely oblige to the request.